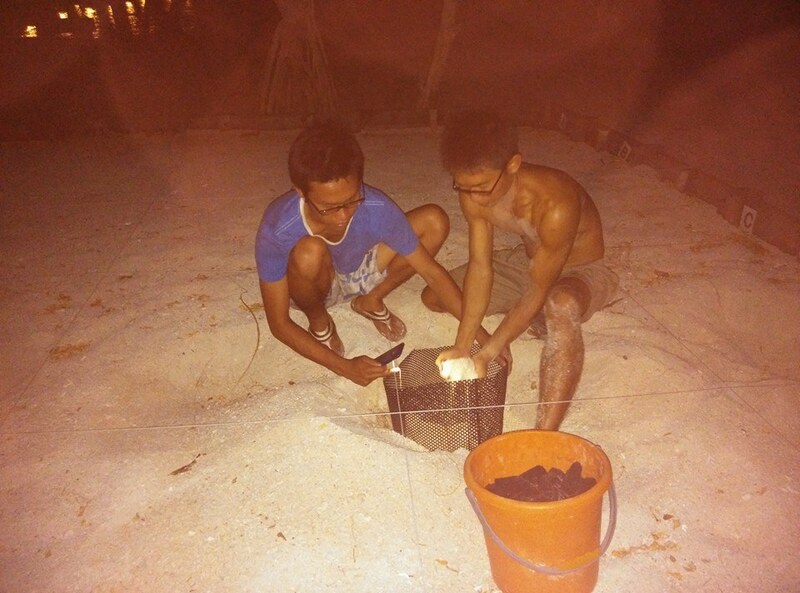 About 25% of TRACC volunteers from May-September come to monitor the turtle nesting. It isn't possible to dive all day and walk round the island all night so this program is specifically for people who want to do some conservation without the expense (in either money or energy) of diving and reef restoration. They walk quietly round our lovely little island in the silence of the night and then snorkel peacefully in the heat of the day. The turtle volunteers are also conducting in-water turtle surveys to monitor the turtle population and activity around the island. We've found that the green turtles outnumber the hawksbills by 10:1, but that the population dynamic is different. The green turtles are transitory adults; spending their days sleeping and eating in the shallows, mating and nesting. The hawksbill turtles tend to be resident, active juveniles. Once the female greens are ready, they haul themselves up the beach and wander round it (often for hours) trying to find the perfect place to lay their precious eggs. We don't have any photos of this because any sort of disturbance at this point will have them beating a hasty retreat. So our turtle volunteers sit in the dark waiting for the girl to be ready. Finally, when everything is perfect she settles into a semi-trance and starts to lay her eggs. She lays anywhere from 30-150 eggs depending on her age and how long she's been holding them. Often a female will return to the beach and go through the nesting process two or three times before she's finished for the season. At this point the volunteers get face down in the sand for the enviable privilege of catching turtle eggs straight out of the mother. The eggs are all collected carefully and transferred to the island hatchery where they are safe from human poachers. 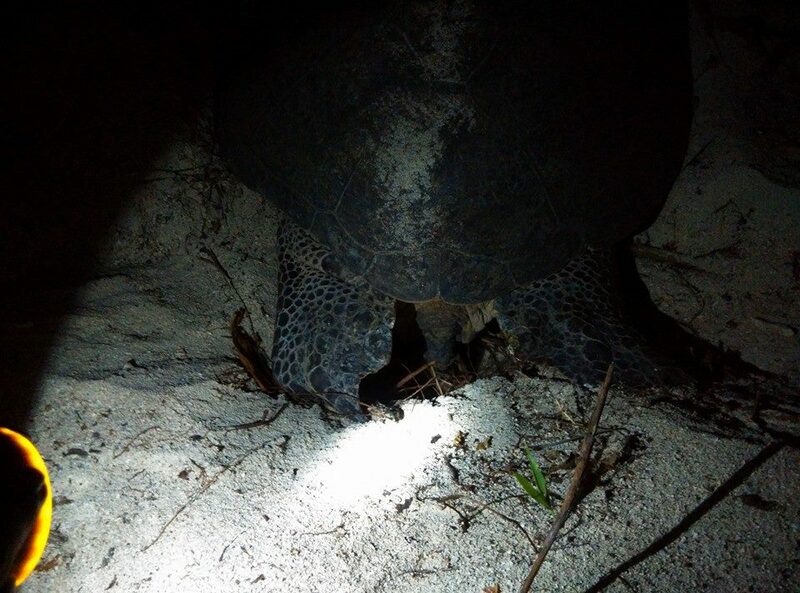 There are no natural predators of turtle eggs on the island and if it wasn't for poaching the nests could be safely left in situ to develop naturally. Although turtles are totally protected species and there are stiff penalties for taking their eggs, the local stateless people have very few economic opportunities. 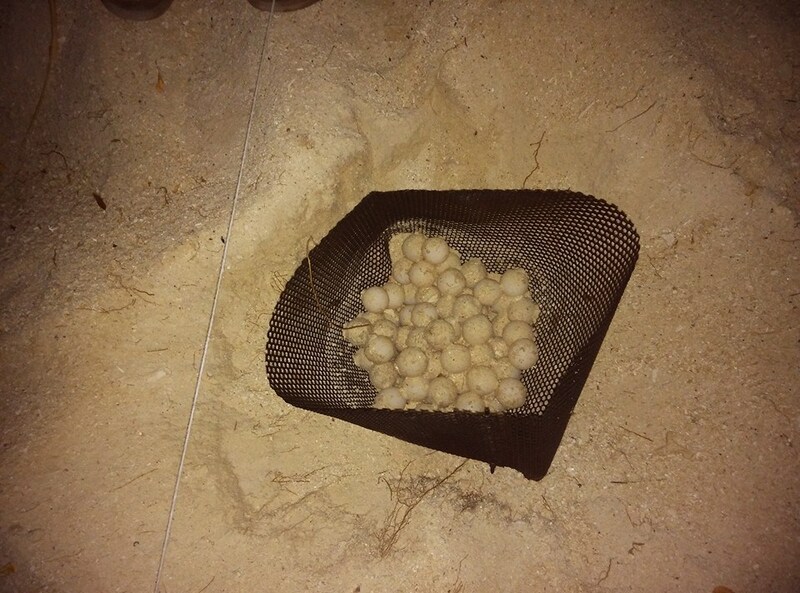 The poaching of turtle eggs is a major source of revenue for them but a major threat to turtle conservation. All credits to Wirginia Romanowicz-Basiak for the photos.